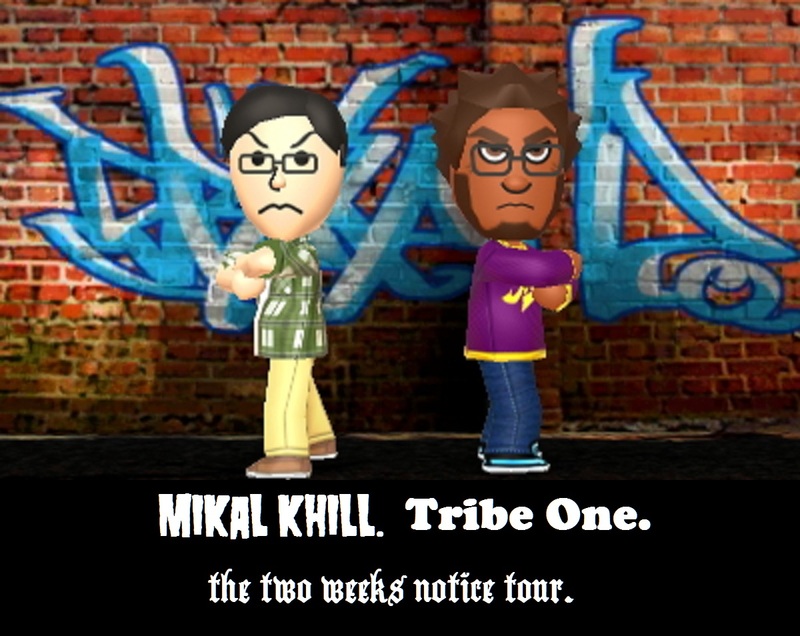 My good friend Mikal kHill and I decided on Monday that we would like to go on tour again this year. As we pondered what mountains would need to be moved to make this happen, the greatest obstacle that arose in front of us was the fact that I am going to be starting a new job at the beginning of August. This left us with the choice of either not touring or somehow moving heaven and earth AND aligning the very stars themselves to put a tour together with two weeks notice. Obviously we chose the latter. 7/18 – Fantom Comics. Washington D.C.
We have been working extremely hard on this record, meeting on google hangouts twice a day for hours at a time to make beats and write raps and I couldn’t be more proud of it. The album will release on Thursday, July 16, which is the day before the tour starts. 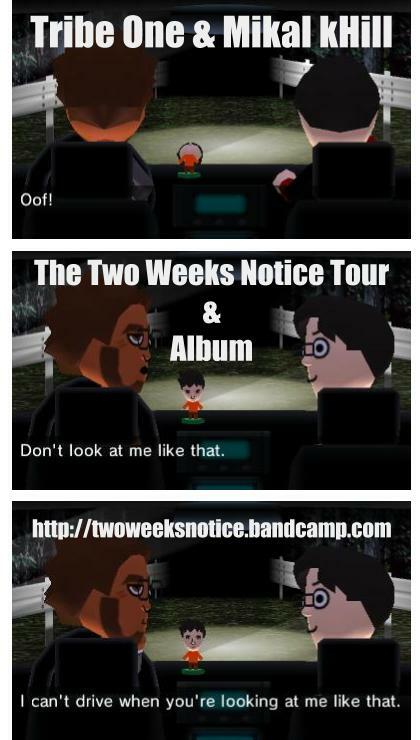 I also made this comic using screenshots from kHill’s game in Tomodachi Life!